Rent Fish & Farm | Corporate Events | Wedding Locations, Event Spaces and Party Venues. Fish & Farm goes above and beyond to support local farmers and fishermen by sourcing most of our fish, meat, and produce from within a 100 mile radius. Our dishes are classic and familiar, and composed of high quality ingredients such as Monterey Bay seafood, housemade pasta, and Berkshire pork. 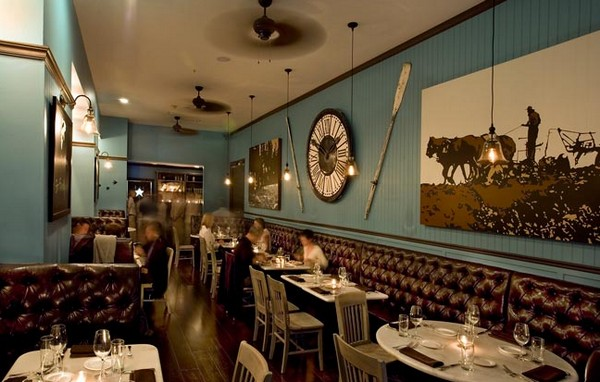 Fish & Farm hosts parties and private events seven days a week. We offer “food only” and “food and wine” dinner packages. There are three menus to choose from, and we are also able to create custom menus upon request. Some of the events we accommodate include: corporate dinners, holiday parties, birthday and anniversary parties, wedding receptions, and awards banquets.